I’ve just got back from the excellent EUK conference held today in London where I gave a presentation on my research into the future of the ELT coursebook. As promised, I am posting a copy of the powerpoint presentation see Caroline Moore EUK 2010 I have transcribed and analysed the very interesting comments made by the participants at the beginning of the talk, when asked to vote on whether they thought there was a future for the coursebook, and to jot down their views on post-it notes. You can see a word cloud of the analysis in the thumbnail image on this page, and download a brief report English UK Teachers Conference coursebook teacher survey. I went to Buckingham Palace yesterday for the presentation of the awards to the winners of the ESU Awards. It’s good to push the tourists aside to go through the front gates, have a good look at the furnishings and pictures, and see the Duke of Edinburgh in action (the royals have just started their own Facebook page with nearly 200,000 fans already). There are two main categories, the Book Prize and the President’s Award for the use of new technology for English language learning and teaching. I have helped just the President’s Award since it began in 2003, and it’s been interesting to see the types and quality of entries since then. Although we’ve had some really excellent winners, we have often been disappointed by the quality of entries, especially in the last two years, when the winners, Live Mocha! 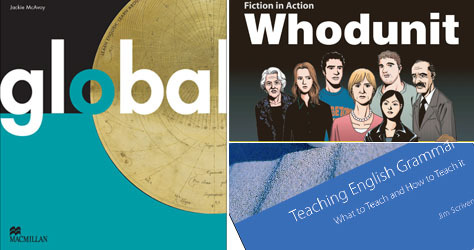 in 2009, and Macmillan’s Global eWorkbook in 2010 were “head and shoulders” above the other entries. These entries include submissions from other major publishers in the UK and a few independents, they know who they are, and I hope they take the opportunity of getting feedback on their entries from the ESU. We were really disappointed at the poor usability and design of many entries (the two tend to be closely connected) and the really poor exploitation of interactive learning materials, lots of true/false or repetitive multiple choice exercises, and some publishers keep on just plonking print content into digital. 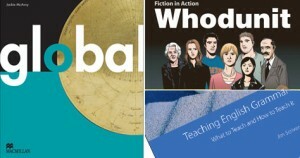 By contrast, the Book Awards had so many excellent entries the judges decided to share the main award between Macmillan’s Global and newcomer Abax Limited’s Fiction in Action: Whodunit with a commendation for CUP’s Collocations Extra and Macmillan (again) won best category for Teaching English Grammar. My presentation New Generation courseware: mobile learning in the language learning classroom has been accepted for the TESOL 2011 convention in New Orleans next March, http://www.tesol.org/s_tesol/convention2011/# It will be based on my research between January and July 2010, but much updated after attending various conferences and events including Educa Online Berlin in December, Learning Without Frontiers in January 2011, and Southampton University’s eLearning Symposium.